Are you a member of a feline federation, a feline judge, a geneticist, or simply interested in purebred cats in France? This English site has been designed for you. LOOF is the only recognized feline studbook for purebred cats born in France. You may have a look at its missions, meet its Board of Directors, discover its various commissions, or simply read how to contact LOOF. You may browse through the list of all cat shows organised in France under LOOF rules, see which clubs organise them, read the show rules, check the list of LOOF feline judges or even read the full judges' rules. You may download the full LOOF standards including individual breed standards and the full unified nomenclature of coat colours. You may have a look at the summary to meet the most popular breeds in France, or study the detailed statistics on reproduction performance for 25 major breeds. 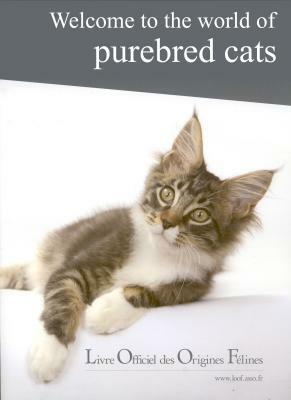 meet the breeds, download the illustrated breed presentations, browse through a list of kittens, etc. Find back this page: "News", "This site"